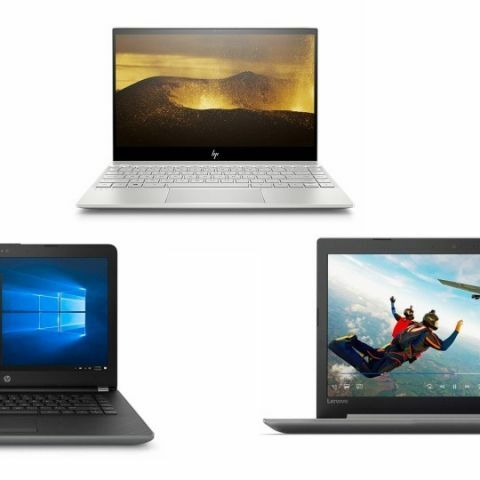 The Amazon Freedom Sale has a lot of offers and discount on laptops. The gadgets we have covered in this list are from brands like HP, Dell, and more. The Amazon Freedom sale will end tonight at midnight 12 AM and if you are thinking of purchasing a laptop then you have to make a decision before the sale ends. we have covered some of the best deals of the platform that are on brands like HP, Dell, and more. The HP Envy 13-ah0042tu is powered by the latest 8th Gen Intel Core i3 processor, which is paired with 4GB DDR3 RAM and 128GB hard drive. The device sports a 13.3-inch full HD display with a resolution of 1080 x 1920 pixels. The laptop is also equipped with an Intel UHD 620 graphics card. As per the company, the device offers a battery life of 14.25 hours. Click here to buy. The HP 15q-BU004TU is powered by an Intel Core i3 6th Gen processor with 4GB DDR4 RAM and 1TB hard drive. The device sports a 15.6-inch HD display with a resolution of 1280 x 720 pixels. The laptop offers a battery life of four hours and weighs around 2.1Kg. Click here to buy. The Dell Vostro 3468 is powered by an Intel Core i3 7th Gen processor. The device packs a 4GB DDR4 RAM and 1TB internal hard drive. It also features a fingerprint sensor and a TPM chip for BitLocker security. Click here to buy. The HP 14q-BU008TU features an Intel Core i3 7th Gen processor, which is paired with 4GB DDR4 RAM and 1TB hard drive. The device comes with four cell cylindrical battery with HP fast charge. The laptop is also installed with Windows 10, which means one does not need to worry about installing an OS separately. Click here to buy. The Lenovo Ideapad 320 is powered by the latest 8th Gen Intel Core i5 processor with 8GB DDR4 RAM and 2TB hard drive. The device sports a 15.6-inch full HD display with a resolution of 1920 x 1080 pixels. When it comes to the graphics card, the laptop is equipped with 2GB AMD RADEON. Click here to buy.